Fishing Show Osaka 2014 will be held at Intex Osaka from 7th feb 2014 to 9th feb.
7th feb is for Industry participant　and 8 & 9th for General customer of Fishing fans in Japan. minor manufactures will annouce new products at this Fishing Show Osaka 2014, as Fishing Show Osaka 2014 is the first fishing show in new year. Tackle Umi will visit to check new products as last year and will show you many photos and videos of the latest fishing products. Popular Electric reel Daiwa Tanacom Bull 1000FE will change model and released on end of December 2013. 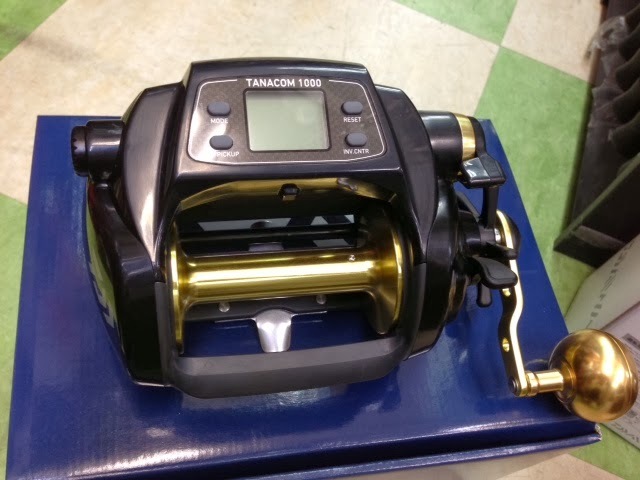 Daiwa release it before Fishing show Osaka 2014 on Feb.
New name will be Daiwa Tanacom 1000?? 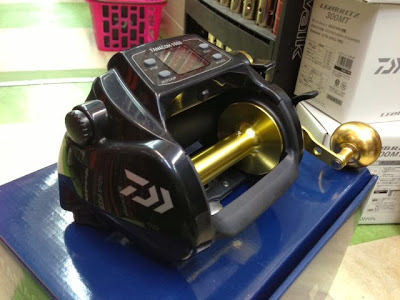 We have checked new demo machine from daiwa and take some pictures. We do not know details of spec yet but the price will be cheaper than present one. Please check our blog for new info! !